Low-calorie high-protein foods are much in demand nowadays, especially with the growth of the number of people who want to shed weight and build lean muscle. Protein is a crucial macronutrient that we all need from food. However, not all foods supply the same amount of protein to your body. Despite what all of us think, not everyone needs proteins in the same amounts. Protein is required in high amounts in the diets of people who are working to slim down, build lean muscle to support their athletic abilities or their stamina in sports. But before you go nuts looking for the nutrient and obsess over it, you must know what it is. Protein is present in our body in hair, skin, bones and, of course, muscles. According to Harvard T.H. Chan School Of Public Health, protein makes up enzymes that fuel many chemical reactions, as well as the haemoglobin that carries oxygen in our blood. Protein is made from over 20 building blocks, which are known amino acids and these amino acids are either made inside our bodies from scratch, or after modifying some other amino acids. Our food must contain nine essential amino acids, which are as follows: leucine, lysine, histidine, methionine, phenylalanine, valine, tryptophan, threonine and isoleucine. 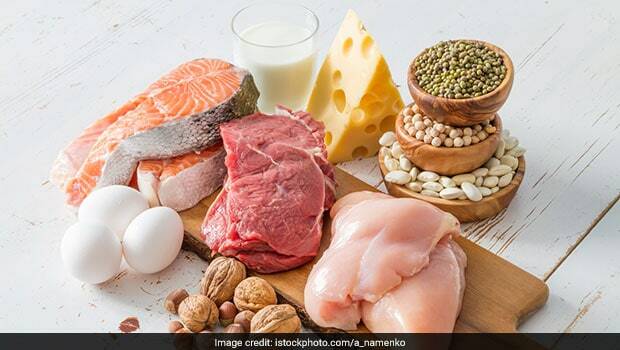 A commonly cited daily recommended allowance for dietary protein says that one should consume 0.8 gm of protein per kilogram of their body weight. American non-profit agency The National Academy of Medicine recommends that one should consume between 10 and 35 percent of their daily calories from proteins. Opinions seem to be divided on how many calories protein must contribute on a daily basis, but a Harvard study found that the percentage of calories from the total daily protein intake wasn't linked to mortality or specific causes of death. The premiere University's research, however, indicates that the source of protein is crucial. A deficiency of protein may lead to loss of muscle mass, stunted growth, poor immunity and may even affect the health of the heart and increase risk of mortality. 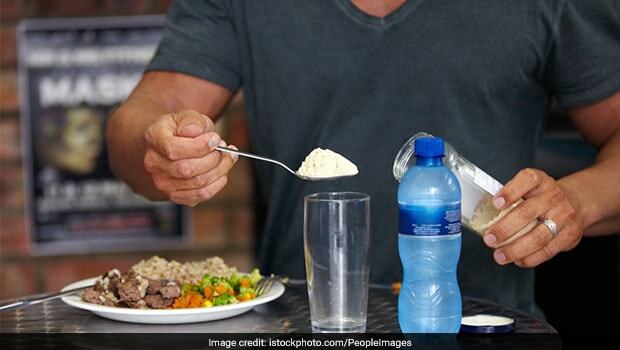 How many calories one needs to consume on a daily basis also differs from person to person. Depending on what your weight loss or weight gain goal is and depending on your current level of activity, you need to determine a healthy calorie budget and then follow it as closely as you can, in order to achieve your body goals. If you want to lose weight, then it may help you set a deadline and then take it one week at a time. Determine how much you can lose weight, without putting your health in danger. No matter what your calorie-budget is, it helps to know about certain healthy low-calorie high protein foods that you may add to your diet to expedite the weight loss process. Seafood is a great source of dietary protein as it is one of the best low-calorie options out there. Tuna is widely available in mostly canned form. The fish provides around 20 gm of protein in under 100 calories (per 100 gm), depending on the type of tuna fish you are using. Tuna is a source of lean protein and is great for the heart as well. A 100 gm portion of turkey breast contains just 157 calories with 22 gm of protein (as per data by the United States Department of Agriculture, or USDA), making it one of the best sources of low-calorie protein foods. The popular North American poultry is a white meat that is preferred by those wanting to gain extra stamina for working out or performing strenuous physical activity. 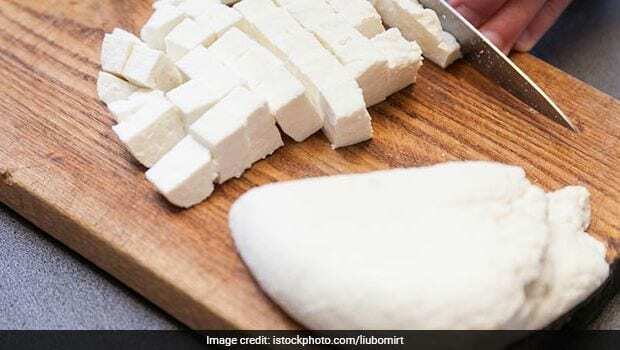 If you're a vegetarian and looking for great low calorie protein rich foods, then it doesn't get better than this - a 100 gm portion of cottage cheese contains just 98 calories and 11 gm protein (as per the USDA data). One of the most well-known and cheapest (and probably controversial) proteins is chicken eggs. A 100 gm portion of chicken egg contains just 155 calories and 13 gm of protein (as per the USDA data). If you need some good vegetables to accompany your meats, then spinach should be your top choice. The powerful vegetable (raw) contains just around 20 calories per 100 gm, along with almost 3 gm of protein. Another fish that can add to your protein load, without disturbing your calorie budget is salmon. Depending on the salmon variety, a 100 gm of the fish provides between 18 to 25 gm of protein and all within 200 calories (as per the USDA data). Lentils are edible legumes that are very popular sources of protein, among vegetarians. Lentils are extremely low in calories and rich in protein. A 100 gm of boiled lentils contains 9 gm of protein, with just 116 calories (as per the USDA data). 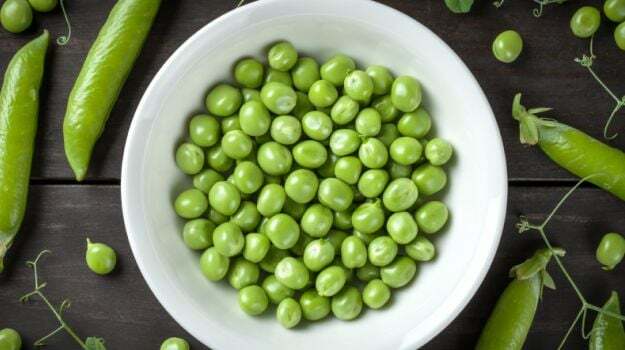 Pisum sativum, or green peas, are also great protein-rich foods that you should add to your daily diet. A 100 gm portion of raw green peas contain just 81 calories and 5 gm of protein (as per the USDA data). Also Read: 8 High-Protein Vegetables You Must Start Eating Right Now! The popular dairy product dahi, or curd, is also a great low-calorie and high-protein option for those watching their weight. A 100 gm portion of curd contains just 98 calories and 11 gm of protein (as per the USDA data). Another great veggie to add to your chicken or turkey sandwich or salad is mushroom. Technically a fungus, the mushroom (white, raw) contains 3.1 gm of protein per 100 gm, with just 22 calories (as per the USDA data)! These 10 foods are just some of low calorie high protein foods out there. There are more foods with a good amount of protein readily available in your kitchen. You may take your pick from among them or consult a certified dietitian or nutritionist to help you with foods that are healthy for you and may help you cut down on fat faster.